Happy Monday. 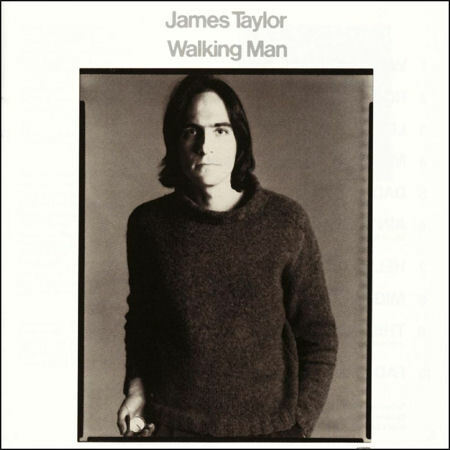 I’m super excited to share a new addition to the site today, Cameron’s 1973 story about James Taylor from Circular magazine. Circular was Warner Bros. promotional magazine and this story profiles James and his latest album, Walking Man. Most of the quotes are from James’ longtime manager, Peter Asher. We hope you like it. It was mid-1970 when America first stumbled onto a gently brilliant, yet fairly obscure album called Sweet Baby James. Seeing it as an oasis in the midst of psychedelia’s dying embers, the public catapulted a somewhat dazed and retiring Carolinian guitarist-composer named James Taylor to superstardom. Gold records, the cover of Time Magazine, adoring throngs . . . it all came in quick succession, and Taylor retreated to write deeply probing and introspective songs that filled infrequent, but well-crafted albums like Mud Slide Slim and The Blue Horizon and One Man Dog. Bigger Gigs. And if all that weren’t enough, Taylor’s recent Walking Man tour of America’s most intimate and acoustically perfect halls was an overwhelming’s success on all counts.